Legendary Barcelona and Spain defender Carles Puyol is currently enjoying a trip to Russia that includes meeting with prospective 2017 Confederations Cup and FIFA 2018 World Cup volunteers. As part of the tour, Puyol attended the interview phase of the volunteer program for the tournaments – both of which will be held in Russia – at the Volunteer Center at the Moscow State Institute of International Relations on 28 February. Prospective #ConfedCup volunteers found themselves being interviewed by @Carles5puyol. Read what he had to say. Puyol, who won the 2010 World Cup in South Africa and also played in the 2009 Confederations Cup with Spain, conversed with the interviewees and told them that their prospective roles are and integral part of the tournaments. “The sense of joy coming from the volunteers is one of the most amazing things I saw at the World Cup. They add feelings of happiness and friendship, and a few really helped our team at big tournaments,” Puyol said. 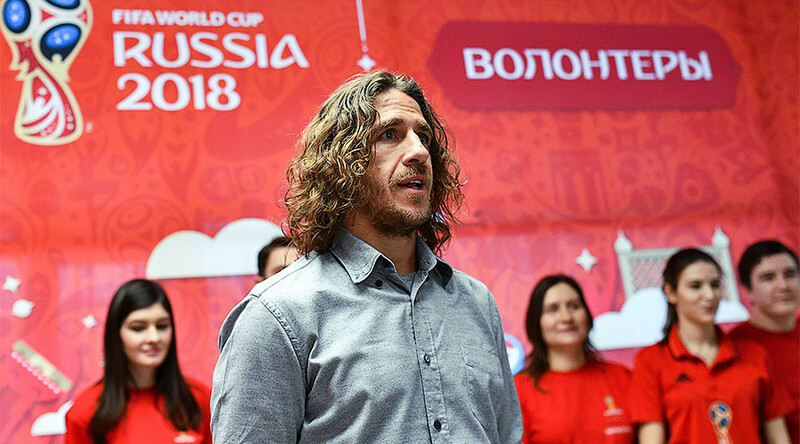 Puyol visited Russia last week to attend the launch of the volunteer program in June 2016, when he was joined by FIFA president Gianni Infantino and Russian President Vladimir Putin. During his second visit, the shaggy-haired Spaniard has enjoyed quintessentially Russian activities such as taking a ride on the Moscow Metro and even posing by a pile of snow in St. Petersburg. He also expressed his belief that both the Confederations Cup and World Cup tournaments will be fantastic spectacles of football, and even gave his views on who the winners of this year's tournament might be. “I can’t recall having played in Moscow. However, judging by today’s experience, including the ride in Moscow’s Metro, this seems to be a city that will have plenty to offer to the fans besides the Confederations Cup and World Cup matches,” Puyol said. “Russia are starting a process with a new coach and they will be supported by their fans. Germany and Chile could be seen as the favorites due to the great football they have produced in the recent past. They will meet in the group phase and it wouldn’t surprise me if they face each other in the final as well,” he added. 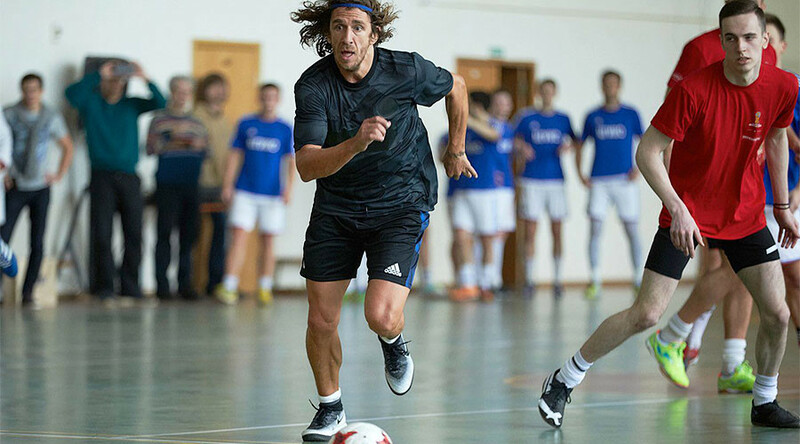 Puyol communicated with Russian fans over the country’s leading social media site VKontakte, and even took part in a friendly football match with the volunteers. The 38-year-old ex-center back also visited St. Petersburg and Zenit Arena, which is built on Krestovsky Island in the city, where he expressed certainty that the stadium will be ready to host matches at both tournaments. The 2018 FIFA World Cup in Russia will take place from June 14 to July 15. The Confederations Cup is one of the major events in the world football calendar and will be held from June 17 to July 2 at Krestovsky Stadium in St. Petersburg, Otkrytie Arena in Moscow, Fisht Olympic Stadium in Sochi, and Kazan Arena. The next phase of ticket sales for Confederations Cup will take on Wednesday.